[ti]doom[/ti]MINDBLOOD GENESIS - DBP08 RELEASED! Are you ready? Are you enough of a BADASS to blast through the relentless slaughter of pure CARNAGE and come back just in time for dinner?! On this quest, more than just your mind will be blown away when you enter the realm of MINDBLOOD GENESIS. MINDBLOOD GENESIS is for play with Doom 2 using limit-removing source ports made by various REALLY COOL members of Doomer Boards. 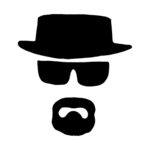 Do you have what it takes to become the MBG (Most Badass Guy) of all time? Download this rite of passage and enter... MINDBLOOD GENESIS!! DOWNLOAD IT SUCKERS! Download link updated with the true final edition. Huzzah! Good to see the DBP finished and released in timely fashion, you’ve done a sterling job this past month Cuppy! Was a pleasure to play these and feedback in the development stage. Not that these maps really needed much development, they were born brilliant. Cuppy, Billy and Xyzzy have killed it this month so get on this peoples! I just looked through these maps briefly and absolutely loved what I saw. Proper playthrough soon! Nice choice for the theme, it works so well to create some really twisted and blooby techbases. I didn't like the new chaingun sprite, the other new things were alright, initially I thought the magasphere was the invuln. Fun fact: this is a monthly project, but all but one map and the HQ were done by the middle of the month. That’s efficiency! I've finished tweaking and fixing minor things so now MINDBLOOD GENESIS is polished to an impeccable sheen! The download has been (secretly) updated for the last time and should now be idgames compatible so let us hope that archaic archival system can handle the unbridled festival of brutality that is MINDBLOOD GENESIS. gaspe Thank you for the demos and the praise! They helped a good deal in fixing the minor errors I saw while watching your playthrough. Some of the demos might not work now though due to the changes I've made so for the future I'll make sure to label projects with build numbers, with the final definitive version without them. I'm sure in the text screen at one point you say "MGB (Most Badass Guy)", which seemed like a remarkable typo to make when you expand on it straight after. Otherwise it all seemed competently put together and functional in GZDoom. Good job, gang. 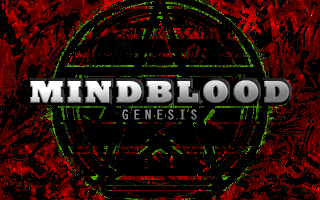 MINDBLOOD GENESIS is now archived! Also DBP07 is out on the archive too! Drop some vodka in that OJ and chill. If you feel the need, get the bugs squashed, and if they’re not bugs chalk it up to experience. Perfection is the horizon, you'll never reach it. Every texture that can be be perfectly aligned WILL be perfectly aligned. Every enemy placement on a pixel by pixel basis that influences gameplay dynamics WILL be optimized for maximum enjoyment. Every item placement WILL respect player convenience and freedom of choice. The horizon shall be my spear to grasp and hold upwards to grapple myself up to the heavens and it's a shame the rest of you remain content to merely just gaze upon it. Really though, regarding this project I've just been too lazy to finally give my new iteration of subjectively objective perfection the OK. It's all been totally cool really. Linedef 31 does not have a front side. Linedef 257 does not have a front side. Linedef 348 does not have a front side. You need to fix these lines to play this map. - Not sure if it's just me, but thought I'd say something. Hi shuulmoth, thanks for coming and enjoying! I'm not sure what your issue with map04 is, I just loaded it up in ZDoom and get no errors and everything is as it should be. 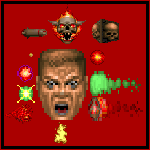 Which version of ZDoom are you using? Hi shuulmoth , thanks for coming and enjoying! I'm not sure what your issue with map04 is, I just loaded it up in ZDoom and get no errors and everything is as it should be. Which version of ZDoom are you using? I'm using the latest ZDoom, and it's maps 3 and 4 that boot me out, saying that the lines and linedefs need to be fixed *shrug emoji*. All the other maps are playable, and all the other DB projects' maps work for me. How bizarre... don’t know what to say dude, everything working a-ok on my end. Maybe supercupcaketactics or bigolbilly could help you out there. Indeed it was discontinued, and final version is v2.8.1 and is fairly reliable. These are strange bugs for only one person to be getting where nobody else is. It must be said that these projects are targeted towards PrBoom -complevel 2, but that’s really beside the point. They run in Crispy, Eternity, and all the ZDoom based ports. The only thing that i can assume has happened is that this dude was looking at the maps in question in the editor and messed something up without realising it and saved it. I can pretty much guarantee that if a fresh copy is downloaded, it will run perfectly. MINDBLOOD GENESIS is finally finalized for really reals.